On behalf of the National Science and Technology Council (NSTC), Committee on Technology, Subcommittee on Advanced Manufacturing, the Office of Science and Technology Policy (OSTP) requests input from all interested parties on the development of a National Strategic Plan for Advanced Manufacturing. 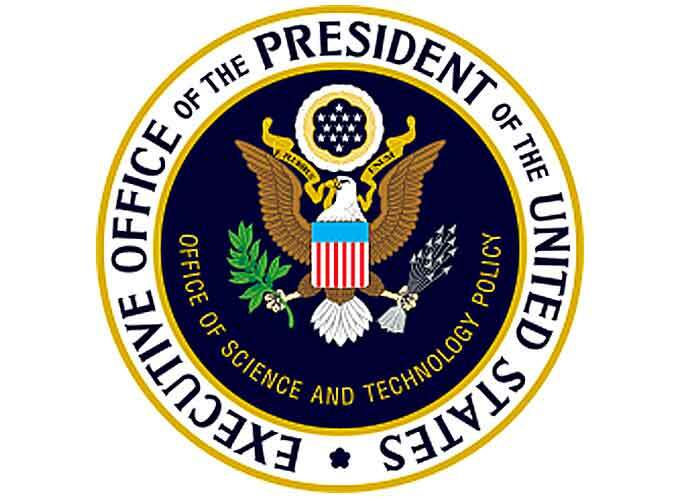 Through this Request for Information (RFI), OSTP seeks input from the public on ways to improve government coordination and on long-term guidance for Federal programs and activities in support of United States manufacturing competitiveness, including advanced manufacturing research and development that will create jobs, grow the economy across multiple industrial sectors, strengthen national security, and improve healthcare. The public input provided in response to this RFI will inform OSTP and NSTC as they work with Federal agencies and other stakeholders to develop the strategic plan. Responses are due by March 7, 2018. Responses should be submitted online at https://www.nist.gov/​oam/​rfi-response or via email to amnpo@nist.gov. Submissions via email should include “RFI Response: National Strategic Plan for Advanced Manufacturing” in the subject line of the message. Response to this RFI is voluntary. Respondents need not reply to all questions listed. For submissions via email, clearly indicate which questions are being answered. Email attachments will be accepted in plain text, Microsoft Word, or Adobe PDF formats only. Each individual or institution is requested to submit only one response. OSTP or NSTC may post responses to this RFI, without change, on a Federal website. OSTP, therefore, requests that no business proprietary information, copyrighted information, or personally identifiable information be submitted in response to this RFI. Please note that the U.S. Government will not pay for response preparation, or for the use of any information contained in the response. Public Law 113-235, The Consolidated and Further Continuing Appropriations Act 2015, incorporating the Revitalize American Manufacturing and Innovation Act of 2014 revised 42 Start Printed Page 5148U.S.C. 6622 to direct the National Science and Technology Council (NSTC) to develop and update, in coordination with the National Economic Council, a strategic plan to improve government coordination and provide long-term guidance for Federal programs and activities in support of United States manufacturing competitiveness, including advanced manufacturing research and development (R&D). Pursuant to this requirement, NSTC seeks to develop a National Strategic Plan for Advanced Manufacturing (Plan) that will create jobs, grow the economy across multiple industrial sectors, strengthen national security, and improve healthcare. Advanced manufacturing refers to a family of activities relating to the use and coordination of information, automation, computation, software, sensing, networking, and interoperability to manufacture existing products in new ways, or to manufacture new products emerging from the use of new technologies. NSTC has commenced the development of the Plan and, pursuant to 42 U.S.C. 6622, is soliciting public input through this RFI to obtain recommendations from a wide range of stakeholders, including representatives from diverse manufacturing companies, academia, and other relevant organizations and institutions. The public input provided in response to this RFI will inform OSTP and NSTC as they work with Federal agencies and other stakeholders to develop the Plan. Through this RFI, OSTP seeks responses to the following questions to improve government coordination and provide long-term guidance for Federal programs and activities in support of United States manufacturing competitiveness, including advanced manufacturing R&D. Responses should clearly indicate which question(s) is being addressed. In priority order, what should be the near-term and long-term objectives for advanced manufacturing, including R&D objectives, the anticipated time frame for achieving the objectives, and the metrics for use in assessing progress toward the objectives? How can Federal agencies and federally funded R&D centers supporting advanced manufacturing R&D foster the transfer of R&D results into new manufacturing technologies and United States-based manufacturing of new products and processes for the benefit of society to ensure national, energy, and economic security? What role can public-private partnerships play, and how should they be structured for maximum impact? What innovative tools, platforms, technologies are needed for advances in manufacturing? Of those that already exist, what are the barriers to their adoption? How can such Federal agencies and centers develop and strengthen all levels of manufacturing education and training programs to ensure an adequate, well-trained U.S. workforce for the new advanced manufacturing jobs of the future? How can such Federal agencies and centers assist small and medium-sized manufacturers in developing and implementing new products and processes? How would you assess the state of the following factors and how they impact innovation and competitiveness for United States advanced manufacturing? The capabilities of the manufacturing workforce of competing nations. Is there any additional information related to advanced manufacturing in the United Stated, not requested above, that you believe OSTP should consider?